Marijuana is becoming increasingly legal in North America. This means there is a need for businesses to quickly and easily analyze their cannabis medicine products to insure their safety and efficacy. Of greatest interest is quantifying the cannabinoids and terpenes in these products. Therefore, Big Sur Scientific, a California-based team of scientific and engineering professionals, have interfaced a tunable detector using a Fabry-Pérot filter (FPI) by InfraTec with an Attenuated Total Reflectance (ATR) sampling cell. This innovation allows mid-infrared spectra of liquids and solids to be measured easily with no sample preparation, little sample sacrifice, and minimal clean up. Liquids are simply placed on the sampling window, have their spectrum scanned, and are then wiped away. Solids are placed on the window, secured to it with the clamp seen in Figure 1, have their spectrum scanned, and are then washed away. Cannabinoids are molecules found in marijuana that interact with the human body’s endocannabinoid receptors. The most famous cannabinoid, Tetrahydrocannabinol (THC), has psychotropic activity. Other cannabinoids present in marijuana have medicinal properties. For instance, Cannabidiol (CBD) was recently approved by the United States Food and Drug Administration as a treatment to reduce the number of seizures in certain kinds of epilepsy. Therefore, companies face the challenge of measuring the concentrations of several cannabinoids in their samples, known as a cannabinoid profile. The BSS 2000 Cannabis analyzer accurately measures cannabinoid profiles in cannabis flower, trim, oils, extracts, shatter, resin, rosin, sugar, wax, kief and hashish. 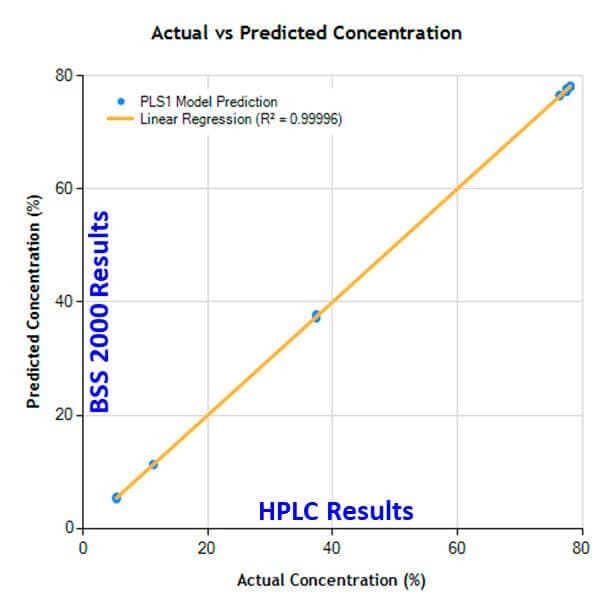 Figure 2 shows a plot of the amount of THC in a set of cannabis oil samples as measured by a cannabis analysis lab using liquid chromatography versus as determined on the same samples using the BSS 2000 Cannabis Analyzer. Terpenes are small, volatile molecules responsible for much of the smell and taste of cannabis and many other foods and beverages such as beer and citrus fruits. There are several that are typically found in all samples at significant concentrations. Among the more than 200 different terpenes, there are compounds with a floral, fruity, spicy, earthy or chemical note. The most common terpenes include limonene which smells like limes, and the pinenes which, as you may have guessed, smell like pine needles. Terpene profiles are also needed for terpenes. 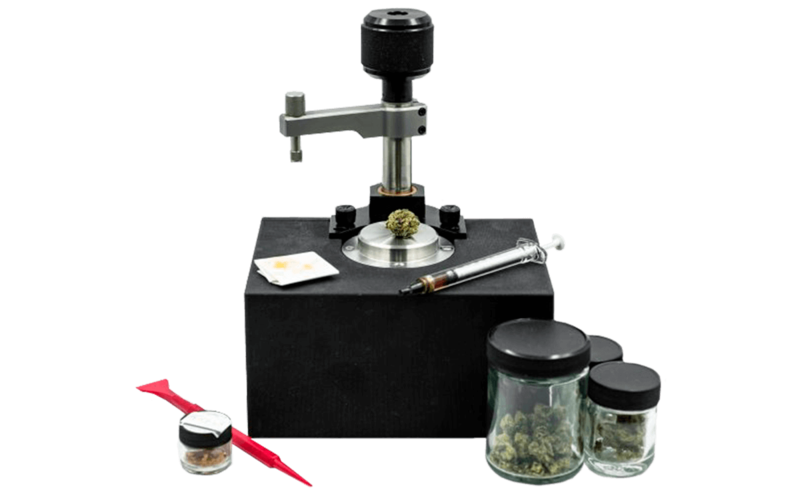 The BSS 2000 Cannabis Analyzer can measure terpene profiles in cannabis flower, trim, oils, and extracts. 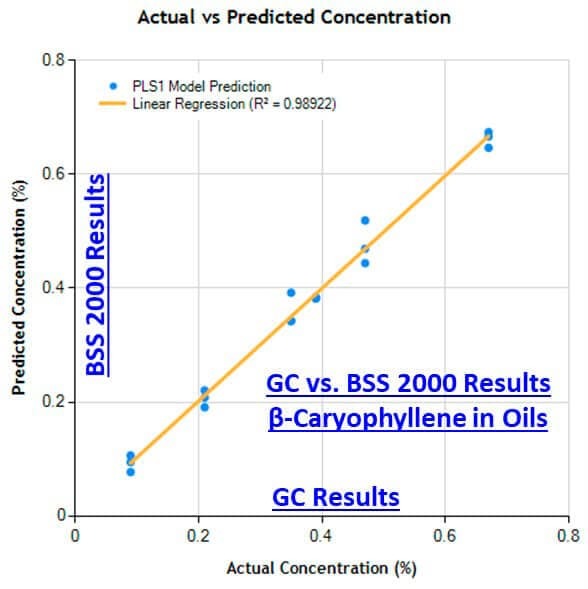 Figure 3 shows a plot of the weight percent of beta-caryophyllene, a terpene responsible in part for the smell of black pepper, as measured at a cannabis analysis lab via gas chromatography versus as measured on the same samples by the BSS 2000 Cannabis Analyzer. Measuring the concentrations of several cannabinoids and the amounts of a number of terpenes in such samples is of vital interest. Terpenes and cannabinoids can interact with each other and thus sometimes have completely new effects. Anyone studying such interactions and their significance for medical science needs reliable data on the characteristics of the different cannabis varieties.